I’ve lived as an American expat in Kenya going on three years now, and I’m embarrassed to say that until recently I didn’t fully realize the extent of hunger in this part of the country. There was a highly publicized drought/famine far on the other side of the country, but where I live is lush, green, and fertile. People look healthy, even fat, even in the rural areas. When you visit even the most modest home, the dictates of hospitality mean you are showed steaming, overflowing plates of food - ugali, rice, boiled yams, fried greens. An animal might be slaughtered in your honor. Your hosts implore you to finish your food, and a polite “I’m full, but this was delicious” combined with an enthusiastic belly rub is met only with protestations that you must “eat more.” You might leave the homestead looking on lush vistas crowded with stalks of maize and the green leaves of beans and potatoes sprawling through the earth. You'll meet smiling faces on thick frames. This is hardly the place where hunger lives. Kenyan friends will tell you that unless a meal has ugali (the local staple), it’s not a meal. Pizza, when they are introduced is laughed off as a snack. A sandwich cannot possibly fill you up. Novel food like beef jerky or aged cheese are politely refused or eaten in small trepidatious bites. Such narrow and specific food preferences. This is hardly the place where hunger lives. But despite the seeming fertility of the land, the abundance of food set out for visitors and narrow food preferences, this is certainly a place where hunger lives. It’s a hidden insidious hunger that ebbs and flows and hits the most vulnerable. There was something in her expression that shamed me. There was a pain there and the hint of a rare confrontation from profoundly good-natured and easy-going woman. Rukia is relatively lucky, with a good job and enough food that she worries about “reducing” (losing weight). But, to her, wasting still-edible bread - a luxury in the rural areas - was an outrage. Likely, as one of 14 children beholden to the whims of a good growing season, she has known hunger. It’s not something you are likely to forget. You see, even in the fertile areas, Kenya has a “hunger season” in which the stores of grain run out before the next harvest is ready. Families economize by cutting down on meals - skipping lunch and breakfast and then maybe a whole day without eating - trying to make their remaining grain last and scrambling to find money to buy more. When a harvest fails completely, it can be devastating. These hungry days are painful for adults, but they are disastrous for growing children. One in three children here in Kenya, the economic powerhouse of East Africa, suffer stunted growth from inadequate nutrition, and malnutrition is the underlying cause of more than HALF of all deaths of children under five. You can survive malnutrition, but you won't be the same adult. The brain size of a chronically malnourished child is smaller and the neural development is impaired, diminishing whatever innate potential a child was born with before they even start learning. That's the hidden cost of hunger. It's not one we can afford. The agricultural revolution (hybrid seeds, fertilizer, irrigation etc...) which has helped stave crises and feed other parts of the world for decades has not reached Africa. Smallholder farmers here struggle to get access to the types of seeds American farmers were using nearly a century ago. They assiduously till shrinking plots of land, with poor performing seed, no fertilizer, poor storage options and certainly no crop insurance to see them through vagaries of weather. They go hungry. They don't have to. 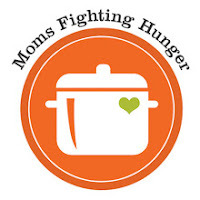 This post is part of Hunger Action Month blog hop. Come check out some of the other posts here! We're lucky, huh? Is that what you mean? Thank you for your post. It will be one that I share with my boys. A poignant phrase that will stay with me, "You can survive malnutrition, but you won't be the same adult." Very true. Great work! Thatt is the kind of info that are meant to be shared around the net.